Three Crispy Steak Tacos, originally uploaded by in2jazz. 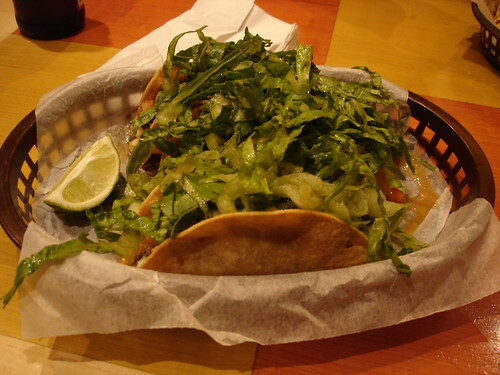 Here we have my guilty pleasure at Cactus Taqueria – three crispy steak tacos. I have ordered these or the crispy chicken tacos so many times that I have asked “have you tried anything else on the menu?” I guess I am a creature of habit. You are currently viewing the archives for September, 2005 at Simply J Life.